Special message stickers and labels including Custom Thank You Stickers are used on gifts, envelopes or any other meaningful packaged items that are handed out to the loved ones on certain occasions. 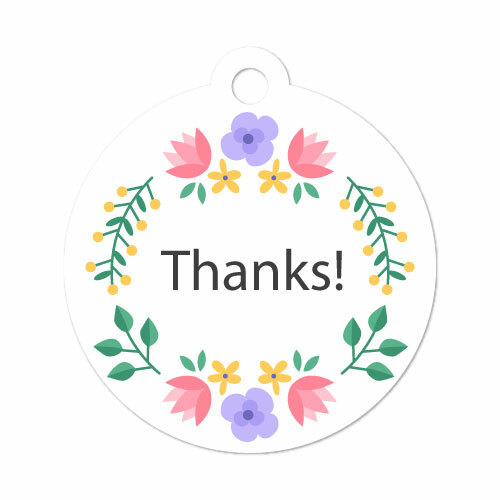 These Personalized Thank You Stickers from Go Stickers are made from durable lasting materials that offer all the required customizations and embellishments as well. Out high quality offset printing and state of the art cutting die equipment deliver many different designs and styles of Personalized Thank You Labels. On large bulk orders, we also provide free shipping, free cutting, and free printing plate equipment as well. Favor Stickers including custom message labels such as, thank you printed labels are available with any other required messages text printing as well. 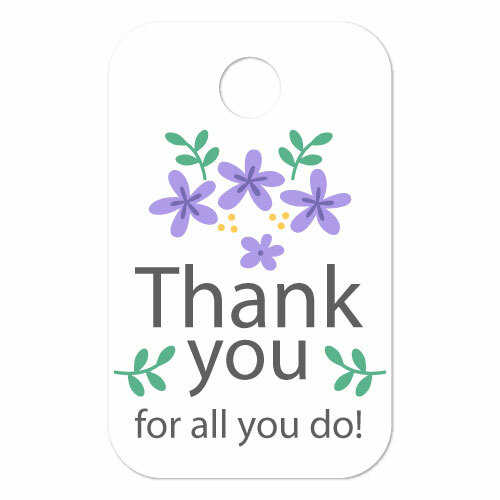 Custom Thank You Labels in different sizes and styles; Gold Thank You Stickers or any other fancy color labels and stickers are available with the most attractive finish possible. The high gloss finish, elegant matte option or the spot UV finish are all our specialties and will satisfy all standards at all times. Other options like Wedding Thank You Sticker range or any specific event or occasion-based labels are also provided efficiently by our expert designers and state of the art equipment. Go Stickers have some of the most well-developed material sourcing channels that provide us with high-quality environment-friendly materials for our custom Thank You Sticker for Favors packaging. Wedding Thank You labels or any other specific event based stickers are all our specialties and will last you the longest time while looking attractive and good as new for all that while. Additionally, our skilled printing experts and advanced offset printing process ensure some of the most attractive printing finish options including raised ink printing, embossing, debossing or gold/silver foil stamping of text in the market. Whichever printing finish you choose, you will not be let down with the attention to detail in designs and long-lasting durability of the materials we use. When it comes to wholesale offers and most affordable prices, we are the top choice for delivering high-quality features, and Cheap Thank You Label Stickers at the same time. Our decades-long experience in the sticker and label industry has developed efficient manufacturing and processing channels for us that help reduce costs while not compromising on any of the quality features at all. Our state of the art cutting dies equipment also enables us to provide all sizes and designs including Small Thank You Label Stickers and the largest ones in rectangular, square, circle or any other required shape designs as well. Whatever your preferences are, we will deliver most efficiently. If you are in the market for cheapest wholesale prices, highest material quality, efficient and accurate text color printing, precise die cut sizes and designs and top quality customizations with surface finish options, you will not find better more value for money offer than what we provide you. We take care of all the quality features while providing the most profit enhancing low prices at the same time and when you buy from us in bulk, free shipping, free cutting die and free printing plate equipment are also available.